Greek ferries are the main transportation between Athens and the islands of the Aegean Sea . There are 3 ports around Athens. The most important and busiest is the port of Piraeus that serves most islands of the Aegean Sea. A ferry from Athens will get you to the most popular or secluded islands of the Aegean, but also to some mainland ports of Peloponnese. There is also the port of Rafina which is the closest to the airport. This port is the most popular among visitors who arrive at the airport and need to take a ferry from Athens to the Greek islands. A ferry from Athens could also depart from the port of Lavrio, which is located on the southernmost spot of Attica. The ports of Athens: How to go? 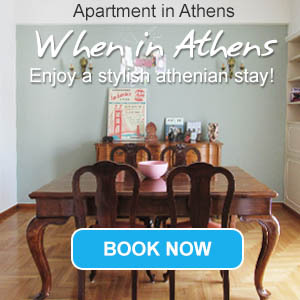 Book your Athens ferries using the ferry engine bellow or just get informed about ferry schedules from Athens. Ferries from Piraeus port to: Santorini, Mykonos, Milos, Amorgos (Katapola and Aegialis), Folegandros, Aegina, Koufonissi, Paros, Naxos, Ios, Serifos, Sifnos, Syros, Tinos, Spetses, Hydra, Porto Heli, Poros, Ikaria (Evdilos and Agios Kirikos), Agistri (Skala and Myli), Ermioni, Tilos, Kalymnos, Symi, Nisyros, Kos, Kastelorizo, Rhodes, Astypalea, Donoussa, Lesvos and Chios. Ferries from Rafina port to: Santorini, Mykonos, Andros, Tinos, Marmari Evia, Ios, Paros, Naxos, Koufonissi and Amorgos. Ferries from Lavrio to: Kea, Kythnos, Lemnos, Psara, Agios Eystratios, Andros, Syros, Tinos, Mesta Chios, Milos, Kimolos, Sifnos, Serifos and Paros. For more information about ferry companies serving from Athens city, vessels and ports of departures, go to our ferries main page. Before making any ferry tickets reservation from Athens, read first our terms and conditions. Read the embarkation terms and cancellation policies of Greek ferry companies from Athens.